A bust of a different breed: Most of the victims at this site involve terrible photos, terrible clothing choices or terrible concepts; this is the first time the piece of cardboard alone qualifies itself for Bust status. Look at the worry on Donnie Baseball's face. 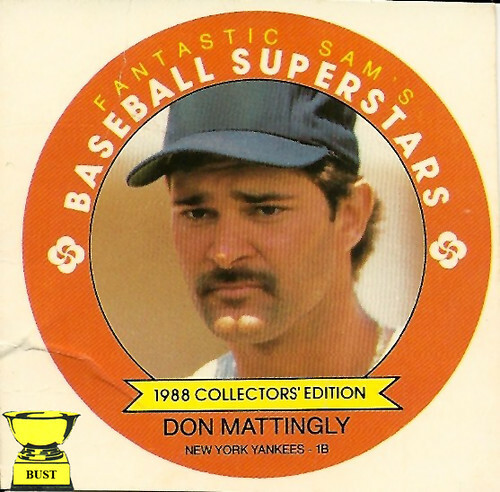 Even he knows this half baseball card-half pog is an awful idea. Maybe ol' Fantastic Sam should spend a little more time training his stylists how to give perms and a little less time coming up with useless, square collector's items.